Dogs are a man’s (or woman’s) best friend, or so the saying goes. Following this logic, one would think that it would be possible to bring our furry friends to the beach, right? People love dogs! Interestingly enough, this isn’t the case for most places since dog-friendly beaches are not as common as you would think. Ridiculous, right? 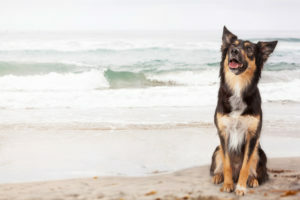 That said, we thought we’d review a couple popular beaches so you know where to bring your furry friend the next time you’re beach bound. 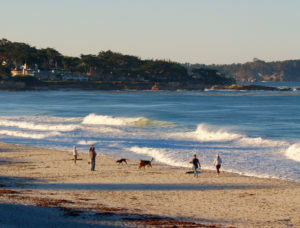 Named as one of the most dog-friendly cities in the US, this pristine, mile-long beach is covered with white sand, views of the Point Lobos State Reserve, and the Pebble Golf Course. 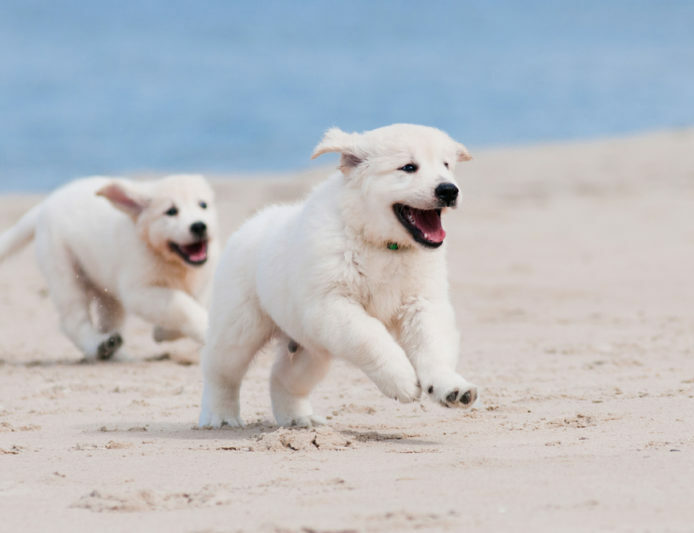 And get this — dogs are allowed off-leash on the entire stretch of beach year-round! How’s that for accommodation?! Maybe you could have guessed this one… it’s called Dog Beach. Surprise! It’s dog friendly. Very dog friendly. And for any of you night owls/early birds, this beach is open 24 hours a day. In case you’re in the mood for a little caffeine, stop by the adorable, Lazy Hummingbird café and get a dirty bird (two shots of expresso and chai). It’ll have you give you the energy to keep up with your pups. 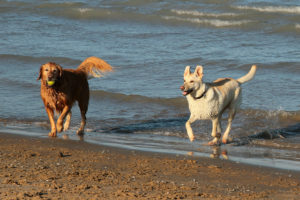 Known as one of the best nine dog beaches in the nation “Mondog” beach has quite the following in the Chicago area. Home to a beautiful skyline this beach offers much more than just a little sand and surf. Check out their website and see what kinds of fun activities they have going on year-round. Last Christmas they had a Santa paws party on the beach… Sign us up! 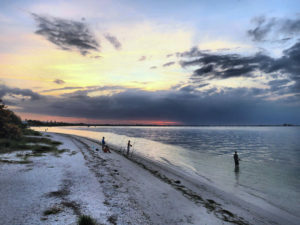 For a more relaxing experience try Algiers beach in Sanibel Island, Florida. Seriously, folks. This place is gorgeous! And a portion is even located next to a nature reserve. I don’t know who is happier about this… us or our canines! Don’t forget to head over to Island Cow for a tasty meal if walking around the island has built up quite the appetite!